c) Archive Radio interviews: East Leeds FM (Peter Englefield), Mike ChisholmCanalside Community Radio, Allan Watkiss BBC Radio Sheffield, Roger Peck British Country Music Show, Lee Williams CMR NASHVILLE and station promotion. f) Saskia’s Breakings news + Exclusives! 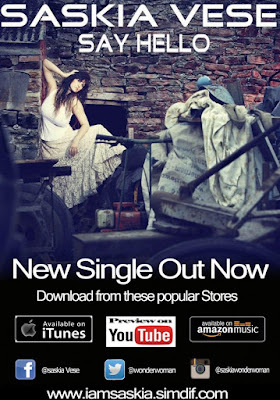 Saskia Vese (pronounced “Veese”) is a recording artist from Doncaster, Yorkshire, UK. Her current single is “Good Girl” and was her Hotdisc follow up promoted on the August 2017 promotional Hotdisc #224 and made a bow at No.40 on the Hotdisc Top 40 (chart dated August 20, 2017) and peaked at No.36 (chart dated September 3, 2017). The day after the release of Good Girl it received airplay on "BBC Introducing" BBC Radio Sheffield covering all the North Barnsley Rotherham. 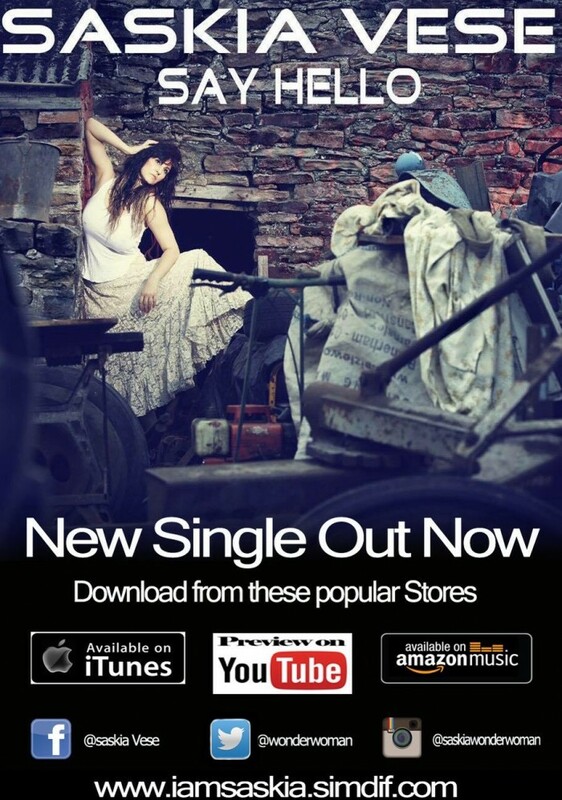 Her producer in Castleford has set her the task of achieving 500 downloads from the first 3 singles. 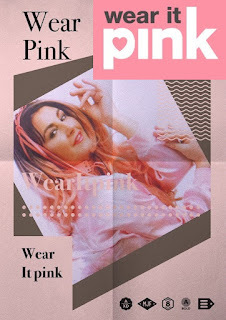 If that is accomplished then work can begin on an album with the assistance from her record label and the possibility of a music video for the most popular downloaded track. 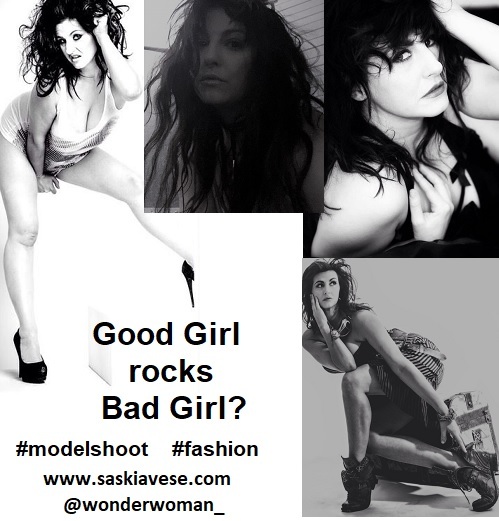 Saskia has worked as a model, and a Shania Twain tribute before turning her talents to creating her own music. The "Model" Country Singer: Saskia poses in a hot 2017 photoshoot! Click on the Graphic Above to connect with Saskia! 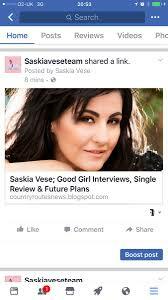 Exclusive Country Routes Q & A with Saskia Vese! For DJs and our readers seeing your name for the first time may immediately conclude you are from Eastern Europe. Can you explain where you were born, where you live and what your names derive from? I'm English with French blood from my great grandparents x4 generations back. Born in England – Doncaster, UK. My name Saskia means Saxon woman - Woman of the world. It can be seen as spelling Saxia from the Saxon. It is said to be a Russian name. Latvian. Vese is a French name. And also been proved there is some Irish blood from one of my great grandfathers who was a tinker , way way back. He moved to England in the olden days starting a life here in the UK. My grandfather (my Mums father) lived in Durham, in Newcastle. He fell in love with my Grandma (my mums mum ) and then moved to Doncaster. My grandparents both spoke a little geordie and used to call me a “wee bern” when I was little . You could always hear their accent in their voice, even though they moved to Doncaster in their early 20s. 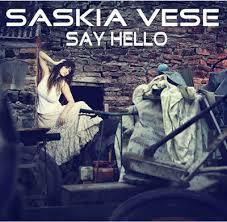 What were your hopes and expectations for your debut Hotdisc single “Say Hello”? Saskia: With Say Hello being my first single, I decided to break it down quite a lot, like I used to my dance routines as an aerobics instructor. I thought to myself ' I don't know how to record an original song, in a studio. However, if I use my skills in breaking it down with the beats of the music, like in my dance classes I would be able to work out all the intricate bits, and the beats. I have always been very good with timing naturally, due to my background in fitness classes. As I used to teach a lot of moves into one record lol. My piers would ask me to uncomplicated it. I would say ' no! Please concentrate harder :). And get on with it! So, I felt my experience helped me work it out how I was going to attack it. I tried to perfect Say Hello in every way I could. As recording original materiel was new to me and I wanted to give it my all. Did you feel both excited and a little nervous about how your Say Hello single would be received by the 700+ DJs and media across the UK, Europe and worldwide? Saskia: I don't expect miracles from the Hotdisc. I like being a part of something and taking part. As “Say Hello” was your first original song and single. What was the experience like and biggest challenge recording the song in a studio? Saskia: With Say Hello being my first single, I decided to break it down quite a lot, like I used to my dance routines as an aerobics instructor. I thought to myself ' I don't know how to record an original song, in a studio. However, if I use my skills in breaking it down with the beats of the music, like in my dance classes I would be able to work out all the intricate bits, and the beats. I have always been very good with timing naturally, due to my background in fitness classes. As I used to teach a lot of moves into one record lol. My piers would ask me to uncomplicated it. I would say ' no! Please concentrate harder :). And get on with it! So, I felt my experience helped me work it out how I was going to attack it. I tried to perfect Say Hello in every way I could. As recording original material was new to me and I wanted to give it my all. The biggest challenge for me was recording it in the studio making it into my own song with feelings of my own to add to the song without messing it up and not disappoint my producer. The experience of recording Say Hello on the studio was exciting and it felt like home. It made me focus and concentrate very hard. I didn't know I had a recording voice at all until recently. Did you go through a lot of songs in the selection process for “Say Hello” as a new single? You received airplay for “Say Hello” by high profile British Country Music Association committee members and radio presenters to positive comments. How did it make you feel? 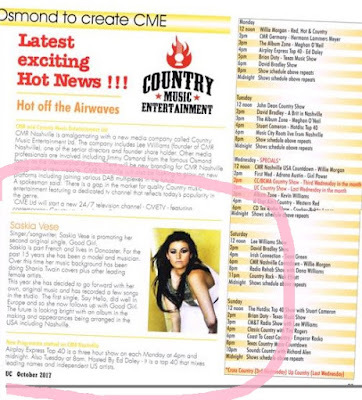 "Some great music now..she's a good singer" - Lee Williams President of the British Country Music Association Awards and CEO of CMR NASHVILLE "Europe's #1 Country Music Radio Station"
Music, Fashion, Modelling, Photography and Dance are all forms of art and professional skills that you possess. Do you find those skills cross over with role play, presenting a live music show and do they give you a certain confidence? Saskia: Indeed, all my skills help with my confidence on stage and when I'm under pressure in the recording studio. 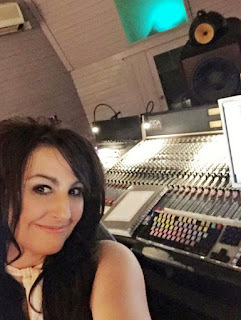 When I'm recording a new song my record label is very strict, and we will take as long as it takes to get the sound right for every single line of every verse and chorus. In my gymnastics background I was a country quad competitive gymnast. So this is where my balance and focus came from . I then applied it to my biology studies and college x4 A levels. Which I trained for to become an international aerobics fitness instructor. I passed all practical and theory tests with the constant push from my parents. Family Background, Influences and what inspires you with your music and writing?? Saskia: My dad also wouldn't let me talk to my friends on the phone as it would put me off my studies. From there I went onto doing more than 20 qualifications with Reebok. Where I taught in Germany and UK. Reebok power step was my ultimate favourite as there were strong moves which had sounds to them ! Like oooo and ugh very loud. So, I like the expression of the sounds the moves and the powerful delivery. Along with the dance which was incorporated in the routines. Fitness and dance routines was my life. I trained most days. After work. My full-time job was personal trainer - aerobics and dance instructor. I think the performance and focus side all starts from my parents. Dad was second seed in table tennis in the UK. So, I trained with him a lot. And he even gave up some of his training to train me in gymnastics. As he believed I would make it. My dad now is a golf professional. He plays golf every day in Spain and competes for trophies at 71 years old. He looks like James Bond Sean Connery with he's trimmed beard. Very handsome. My mum was in arts and crafts with children and she was in charge of a golf club where she managed all the place usually 7 days a week. Mum is the reason I stick to my passion. She beloved in me from the day I was born. My mum mainly inspires me. And sometimes the loss of people I love. Saskia: I'm listening to The Shires, Ward Thomas, Shania Twain, Dolly Parton, Olivia Newton John, Johnny Cash, Kenny Rogers, Patsy Cline, Tammy Wynette, sash dance Music: David Guetto, Kelly Rowland & Beyoncé. Who would be a dream male duet partner? Mum says as a toddle I loved puppet shows a lot and the cartoons which had narrators to tell the silly antics of the cartoon characters. Oh, fab fashion as well is ponchos. And love Diamonte shoes that are high. I also love large fashion statement hats. 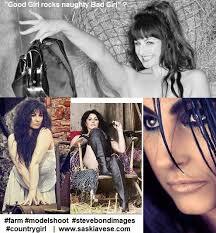 I did a Wonderbra model campaign billboard photoshoot and it went international - In 20 newspapers. I got that myself and I'm still a representative of Wonderbra. I receive invites to help them with promotions. I was also a bra model for Marks and Spencer and a shoe model for Next. As I have a perfect size 4. Saskia: I relax by sleeping and having a mental switch off holiday. Also I go to the spa and love to relax with my parents watching Christmas films any time of year! 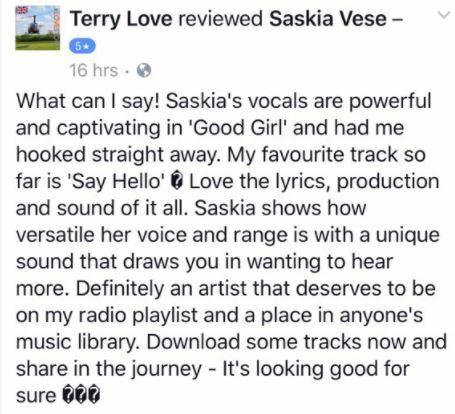 “That's Saskia Vese with 'Good Girl', doing well with her second single, very Pop/Country, she puts on a very good show and looking forward to catching one of her shows" - Lee Williams President of the British Country Music Association Awards and CEO of CMR NASHVILLE "Europe's #1 Country Music Radio Station"
That Does Impress Me Much, Come On Over! Not only is Vese turning heads with her modelling photoshoots but DJs have been drawn to her new songs with some of the biggest names on the British Country scene playing the singles, actively giving encouragement, promoting the latest single and requests for interviews. Good Girl caught the attention of TV and many FM radio stations with rotation spins in its first week of release. 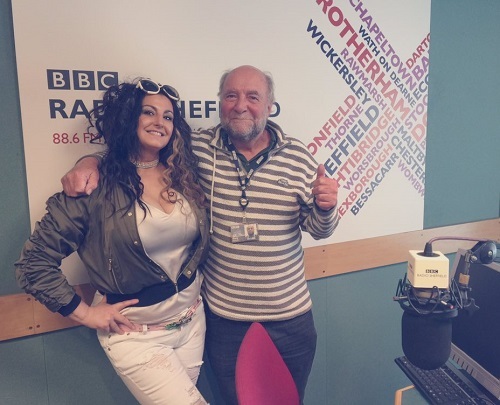 Saskia joined Leeds top country DJ Peter Englefield (aka @leedspete) for a special live interview and session. Englefield Country Roots showcases upcoming talent from the UK and all around the world. 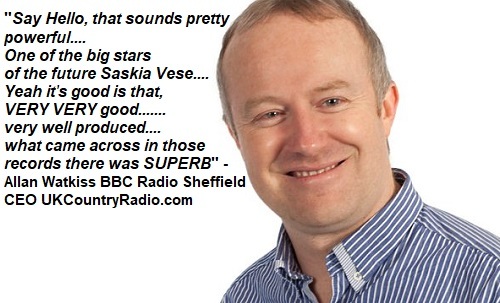 Allan Watkiss (CEO UKCountryRadio.com) former weekly presenter on BBC Radio Sheffield on the Your Country Show invited Saskia in for a chat on a Bank Holiday Monday special (28 Aug 2017) to discuss her music, talent contests, background, influences and future plans. Although not mentioned on air as it was big deal for a new artist to land an interview on the BBC Saskia dressed for the part wearing her favourite dress; a very pretty Cherry Blossom Floral Print Skater, a very expensive celebrity brand which has been wore by Beyoncé and Kardashian Chloe! The scuba type fabric holds its flare on the skater part. A nice kicking out skirt to flatter curves. One of Saskia’s supporters is Roger Peck the presenter of British Country Music Showon CMR NASHVILLE "Europe's #1 Country Music Radio Station". 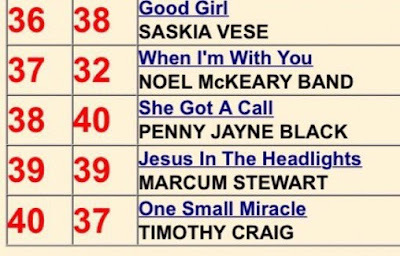 The Good Girl single has been promoted towards the top of the hour by Lee Williams President of the British Country Music Awards and CEO of CMR Nashville and Django Promotions. 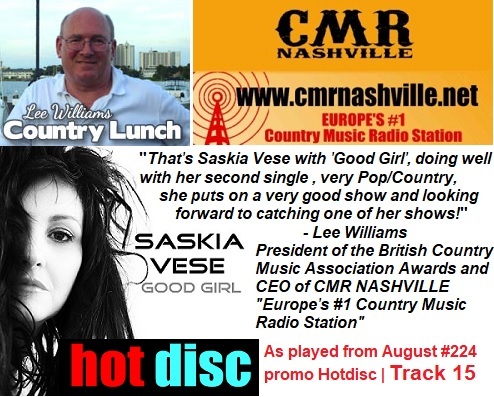 Radio Station: CMR Nashville "Europe's #1 Country Music Radio Station"
Lee Williams CEO OF CMR Nashville Radio spoke with Saskia on the phone to introduce her to the listeners. They spoke about her background, social media, the new single “Good Girl” and her dream in the music industry. This raunchy and rocky number with its tight deep bass and driving axeman licks and back beats certainly packs a punch from the get-go on a uptempo-charged questioning song which finds the female protagonist wrestling with her inner emotions and demons. The first verse suggests that the sweety Good Girl is fatally attracted to a cheatin’ bad guy or possibly against her will mesmerised by the evil look in his eye. He takes advantage, it makes her high but is tossed aside resulting in floods of broken-heartsville mascara infused tears. Apprehensive to start a fresh she patiently waits for her classy, gentle immaculately dressed “sweet sugar bon bon” to enter her world, satisfy her monetary needs who’s a “must for her eyeline”! But will he tick the boxes and service her desires? Far Left image: Steve Bond Images (commercial agency published commercial photographer) Steve and Saskia run mentoring days for photographers for any level of photographer!. On a track with lots of hidden naughtiness, trouble quickly looms, there’s a twist on the love highway as she craves for that wild “good time ride”. Has the Good Girl an in-erasable wicked streak fatally attracted to Mr. Bad Guy? It seems so! It’s reminiscent like the model she is, Saskia mirroring the characters role, looking into the photographer’s lens, can at the drop of a cowgirl hat switch from lovely, sweet and innocent to mean, moody and positively naughty! Can the woman sit tight and ignore those wild hot sensual “bent fender on a Chevy” advances? There’s a tendency to suggest perhaps the singer is a little overpowered in this challenging musical landscape. 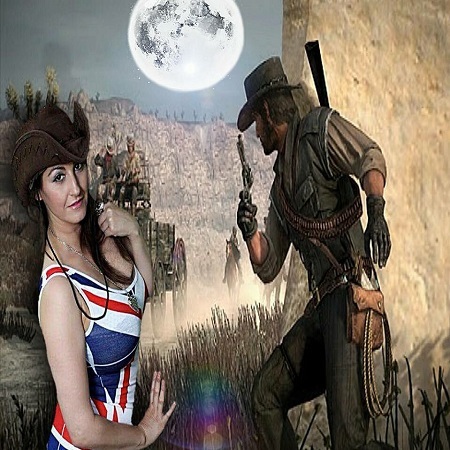 It would be great if single No3, from the Doncaster singer, is a deep soulful country love ballad embracing lower register notes thus allowing fans the opportunity to uncover a true quality that lies within. 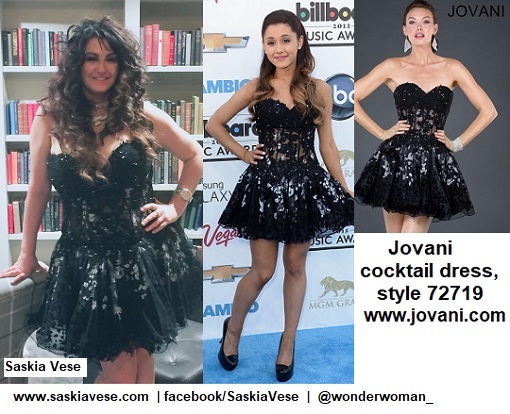 Think more Shania Woman-In-Me-esque vibe than a Carrie “Something Bad” one. And would it be like? Is the hand of a man coming home with his pay cheque? She is also going to The British Country Music Awards (BCMA Awards 2017) which takes place at the Wulfrun Hall on 22nd October 2017, from 7pm. There is an interview booked with with both Roger Peck (British Country Music Show on CMR Nashville) and Jim Duncan (Wolvestock promoter and The British Country Music Awards Chairman) at the awards which will most likely be broadcast on Jim Duncan’s Country Show on WCR FM 101.8 “the station for Wolverhampton”. Following Saskia’s BBC interview, other radio stations are now showing a strong interest. In October she will be joining Terry Love Radio (Website) and Chillz Radio (Website |Facebook | ) Stoke-on-Trent Community Radio (26 Queen Street, Burslem, Stoke-on-Trent). Due to positive reaction and social media activity post her radio interviews her future along with an album deal and working towards the project is now secured! Saskia is recording a Shania Twain tribute album with her own takes on smash hits such as “Man I Feel Like A Woman”, Honey I'm Home”, “Up!”, That Don't Impress Me Much”, “No One Needs to Know, “ Love Gets Me Everytime” and the gorgeous ballad “Woman In Me”. This will be using backing tracks for now with an aim to look for her band members. After initially looking to source a lead guitarist Mr. Craig Brown has now answered Vese’s call. The Shania album is slated to appear in physical format along with a Christmas album. Plans are for them be offered in digital format. She is working on her third original single and going back into the studio very soon! It will be a slow dance with a more American country feel! When this is released, with three commercially released singles in place, with the aspirational target of 500 downloads still in place this will now determine which music video will be created. This will be based on which of the 3 original songs is the most popular with the public. The original idea was that from March 25th 2017, the deal was Saskia had 18 months to get the downloads over the 3 songs to secure the album project, this is no longer the case. 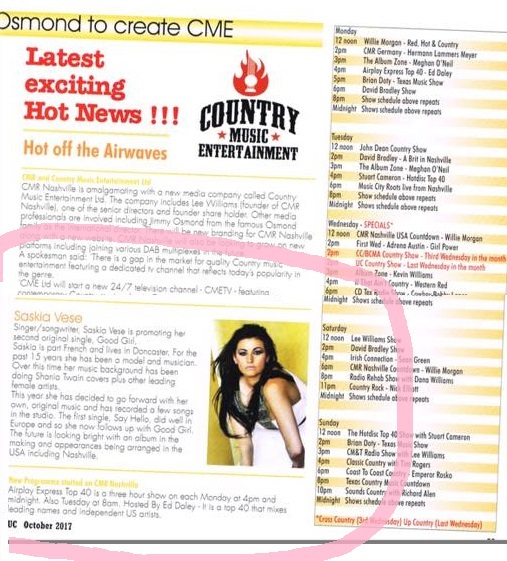 Saskia gets a mention in the October 2017 issue of Up Country Magazine Volume 22 Number 10 (Brandy Clark front cover | WEBSITE | FACEBOOK ) in the “Hot off the Airwaves” section. Breast Cancer Now’s Wear It Pink day is one of the biggest fundraising events in the UK. Taking place on Friday 20 October during Breast Cancer Awareness Month, thousands of amazing people will wear it pink in their communities, schools or work places for the UK's largest breast cancer charity, Breast Cancer Now. Since the first event in 2002, Breast Cancer Now has managed to raise an incredible £30 million for life-saving research. They are the UK’s largest breast cancer charity, dedicated to funding research into the devastating disease. Saskia has been invited to do a Christmas Light Switch On Friday 1st December 2017 to be held in Stoke-On Trent. 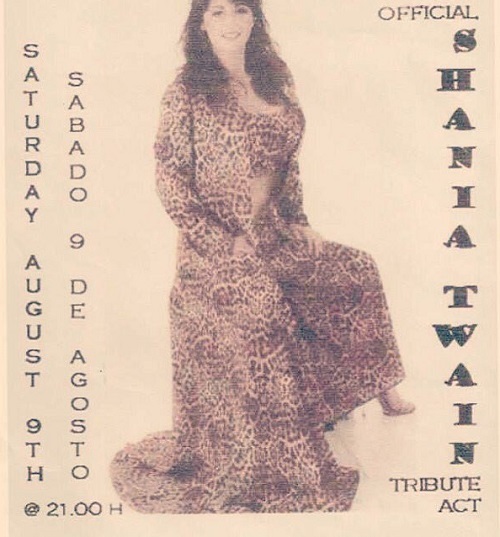 She will be singing her own songs, Shania Twain’s smash hits along with Christmas carols. She will also be singing with Jason Dale (The UK's Number One Elvis Presley Tribute Act; Website | Facebook) who has had a Residency in Vegas! She will be joined by a professional sportsman (probably a pro footballer!). Watch this space! 6 Towns Radio will again to host the Burslem Christmas Lights with hundreds of people expected to attend the event. The annual Christmas event is organized each year by the volunteers of Our Burslem group (chief organizer June Cartwright). The group, local business, and the council help with funds and gifts. Saskia is recording her Christmas album which will feature seasonal carols and set to drop in time before the special day! This Christmas photoshoot was her own set creation up. It's her pinup dress featuring a frilly layered petticoat. She added a Shania Twain Tribute choker and a Vivian Westwood bracelet (Website) | Makeup and hair (Saskia) | Image by John T (Saskia's current and photographer for 7 years). Saskia will be doing a new Christmas set up shoot again this year with a few of her chose go-to photographers. It'll will be more pinup dresses! Saskia has a Bikers Festival slot booked for 2018! Lincolnshire Bike Week will take place at over 18th-25th of July, 2018 at Trusthorpe ,Mablethorpe, Lincolnshire (13 Palm Springs, Miami Beach, Sutton on Sea, Mablethorpe LN12 2JY, UK). It’s based in Mablethorpe, Trusthorpe & Sutton on Sea and will kick off with the Mablethorpe Bike Night and finishing the following on Wednesday with the Sutton on Sea Bike Night . Camping will be available for the week at the central site in Trusthorpe with a main stage and festival site with an “awesome live music line up” for the Friday & Saturday evenings. Check out the Event for more details. about say hello single . winning awards on radio stations . Say Hello won song of the week in Nashville in the 1st week of the release on 25th March . SASKIA VESE TEAM PART OF SASKIA VESE .